Extra Sanding Heads and Sandpaper for Micro-Make™ / MicroLux® Powered Sander / Filer. NOW with Hook-and-Loop System Sandpaper! Extra Sanding Heads and New Hook-and-Loop Sandpaper for the Micro-Make™ / MicroLux® Powered Sander / Filer (#86844, available separately) includes 6 different heads that snap onto the ball-joint mandrel at the end of the tool: 7/16" and 11/16" circular, 3/4" and 1/2" triangular, 5/8" square and 3/16" x 1" rectangular heads. 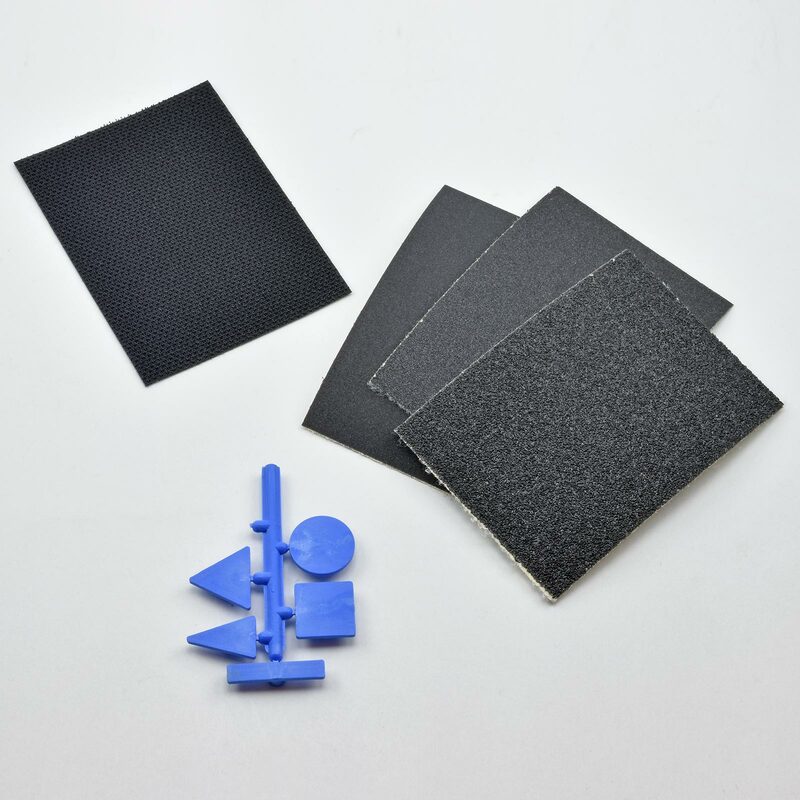 1 sheet (2.5" x 3.5") of sticky-back Hook-and-Loop that you can cut to the different shaped heads and 3 sheets (2.5" x 3.5") of sandpaper with Loop 80 grit, 120 grit and 180 grit included that you cut to the different head sizes. Now, you can use, remove, and re-apply usable sandpaper that still has life.